In computer science, it is skills that matter. But, how will you show your potential clients or employers that you are skilled in a particular area? It is simple. Produce your certificates! They will back your claims that you have all the qualifications to perform certain duties. Even if you are already employed, the right certifications can land you a promotion or a pay rise. Since information technology is a dynamic arena, new certifications keep coming up while others are phased out. So what are some of the certifications that can make you sellable? 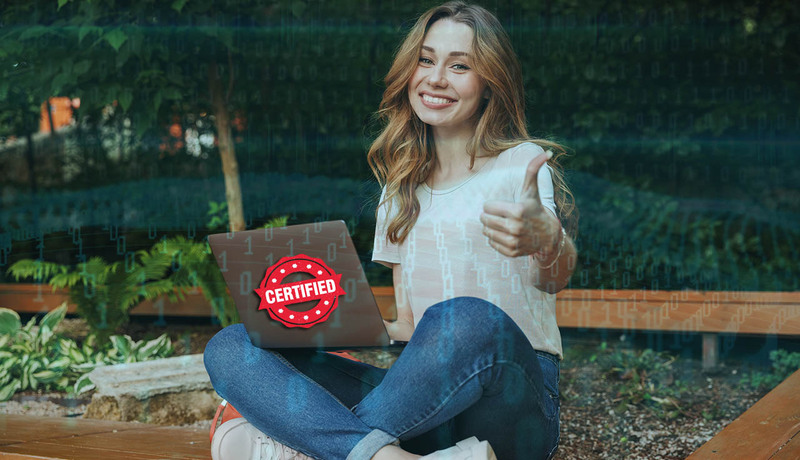 In this post, we are going to look at the best certifications for computer science. Citrix Certified Professional D Virtualization (CCPV) equips an IT professional with the knowledge and skills to install, configure and implement different XenDesktop solutions. For you to pass CCP-V test, you need to have skills in optimizing, scaling, troubleshooting and configuring on virtual desktops. Intermediate FlexCast management Architecture and many others. There are more than 100 openings for Citrix Certified Professionals. The certification will open you up to different employers such as BAE Systems, Citrix itself, World Wide Technology among other companies. IT is broad that comprises different types of projects. Regardless of their size, each project requires careful planning and monitoring. To do such tasks, companies need to get certified project managers. This is where Project Management Professional (PMP) certification comes in. Although it is not an exclusively IT certification, PMP is specially curated to fit the demands of IT projects. The certification is administered by the Project Management Institute (PMI). With this certificate, it will show that as a computer science graduate, you are not just good on technical skills. You can also manage projects successfully. It will give you a global understanding of global management. The PMP curriculum is well structured into different phases of a project. There is no doubt that Cisco is the most dominant force in the networking realm. It administers a wide range of certifications including Cisco Networking Professional-Routing &Switching (CCNP-R&S). From the name, this certification will equip you with switch knowledge and skills on router planning, configuration, installation, and troubleshooting. CCNP-R&P will open you up for any job opportunity that requires an extensive knowledge of computer networking. Do you have some experience in desktop and app visualization? This is the certification that you should consider getting. CCA-N certification will equip you with knowledge and skills to manage enterprise environments that have NetScaler Gateway which helps to secure remote access of data and application. There are no complex prerequisites that you need to pursue this course. Your degree in Computer science is enough. CISSP is a lucrative certification that will prove you are well-versed with issues about systems security. It is an ideal certification for someone who wants to specialize in building, designing and maintaining the systems security infrastructure in an organization. To get this certification, you need to have a proper understanding of the latest security threats. In order to pursue this course, you need to have at least a cumulative total of five years of professional experience in software development or systems security. A computer science degree will be a plus. With the ever-rising cases of security breaches, every organization is looking for a reliable security expert. Certified Ethical Hacker is among the certifications that will prove you have knowledge and skills in systems security. With this certification, every organization will be demanding for a piece of you. CEH is administered by E-Commerce Consultants and will you will a fully-qualified hacker. You will be able to explore the vulnerabilities of a system and even launch attacks on the target. By doing this, you will be able to come up with the necessary security measures. Also, Read: What skills are required to become an Ethical Hacker? CRISC is another important certification course for a computer scientist. It will equip you with knowledge and skills design, monitor and control and implement information security measures. You will have knowledge of enterprise risk assessment from a business perspective. CRISC certification opens one to a wider job market. To get this certification, you need to have at least a 3-year experience in designing and managing IT risk. There is a high demand for systems auditors. These are professionals who are able to analyze the current system and point out key security loopholes that need to be addressed. If you want to prove that you are qualified to do this job, consider getting a CISA certification. CISA is administered by ISACA and it covers a wide range of domains-all of which are related to information systems security. Established organizations such as PwC always prioritize CISA certification. This is ranked as the most lucrative computer science certification that one can get. It will give you the necessary knowledge and skills to manage the Amazon Web Services (AWS) cloud platform. It is also one if the most technical certifications that require total commitment. It is ideal for someone who has knowledge and skills in distributed systems. CISM is also ranked among the high-paying systems security certification. The certificate qualifies an individual to be at the help of the security structure in an organization. You will be answerable to everything concerning security and policy and strategy in an organization. To pursue it, you need to have worked in an IT field for a total of 5 years. I hope that now you are in the know. Don’t just go ahead and enrol for any certification that you hear. Try to asses its benefits and check whether it will match with your career line. Otherwise, the above options are the best certifications for computer science. Son muy importantes las certificaciones Oracle DBA, DEVELOPER, BI , Big Data y JAVA !